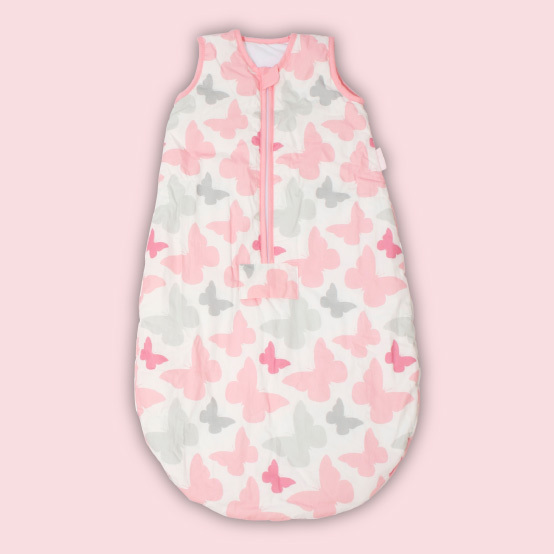 My Babiie sleeping bags are an ideal sleep solution for little ones. Made with soft cotton material and a 2.5 tog rating, perfect all year round (for standard room temperatures of 16-20°C (61-68°F)). Our sleep bags are soft, cosy and convenient. With a zipper down the front for easy nappy changes and handy slits front and back allow you to use this sleeping bag in car seats and pushchairs. My Babiie sleep bags will keep your little one warm and feeling secure throughout the night, giving you peace of mind that they haven't wriggled out of their blankets!